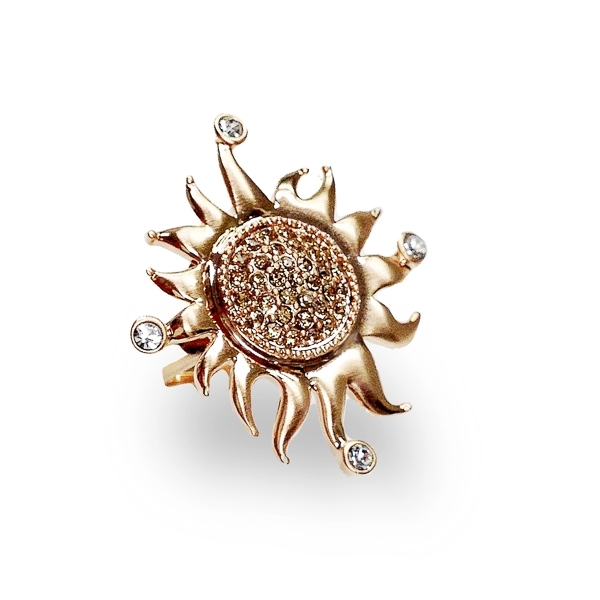 Description: Blazing sun ring with light topaz crystals clustered in the center and clear crystals on four corners further defining the design. Mix of shiny and brushed matte 14k gold plating plays catch and throw with lights creating an exquisite uplifting piece. Material and Measurements: 14K Gold Plated Base Metal, Crystals - Focal Point 1 1/2" X 1 1/4"
Enter Quantity for R-AE045 to add to your shopping cart.